At Creche n Co we have a dedicated, experienced team who prepare and cook fresh food on a daily basis to provide children with good, wholesome and tasty meals. At Creche n Co we have a dedicated, experienced team who prepare and cook fresh meals on a daily basis to provide children with good, wholesome and tasty meals made from good quality fresh ingredients to ensure they get all the nutrients they require. Pride is taken in cooking all of our meals from scratch with no salt added and very little sugar, only when necessary, to ensure meals are of the highest nutritional value possible. We follow the Eat Better Start Better Guide from The Children’s Food Trust to ensure all meals and snacks provided meet requirements advised by the government. All of our kitchen’s hold a 5 star environmental health rating and food is prepared to the highest of standards with all staff trained to the required levels in food hygiene. Special dietary requirements and cultural preferences are catered for, with focus on keeping the meals as similar to the menu as possible. All allergies are recorded at time of child’s registration and updated on a regular basis. 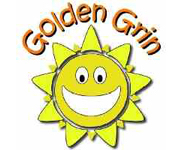 A Winter and a Summer menu are used so we can make the most of seasonal foods, and each one is on a 4 weekly basis, so we serve a wide variety of meals. On occasion, we will replace a meal on the menu to celebrate a festival or cultural event, for example Chinese New Year. Children at nursery are encouraged to try a variety of foods from different cultures. Mealtimes are a great opportunity to teach children table manners and how to use their cutlery in the correct way, we also encourage self serve food where possible to give children choice and independence. Here are a few examples of the menus from our nurseries. 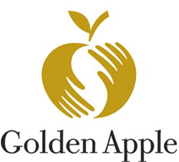 We are pleased to have received the Golden Grin Award and the Golden Apple award following our Healthy Schools Inspection.